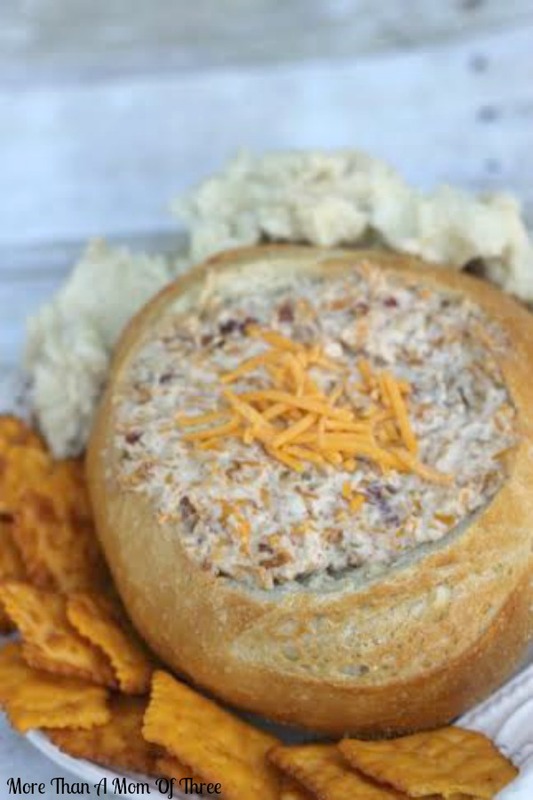 If you want an appetizer to bring out that will disappear quickly from the bowl and have the crowd begging for more you have to make this delicious warm bacon cheddar dip! Perfect for chips, crackers, pretzels, pitas, chunks of bread, or even veggies it is a must have at every gathering. I have made this several times at different family events recently and there is never a bit left. My sister even told me at the last family get together if I didn’t bring it I can’t come – yes it is that good! 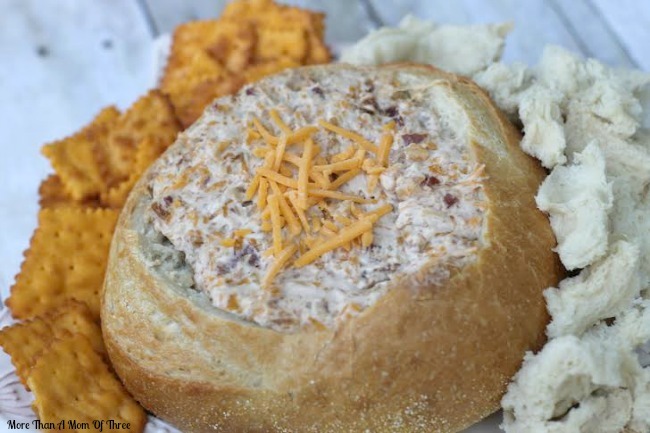 This warm bacon cheddar dip takes the center stage to any buffet. 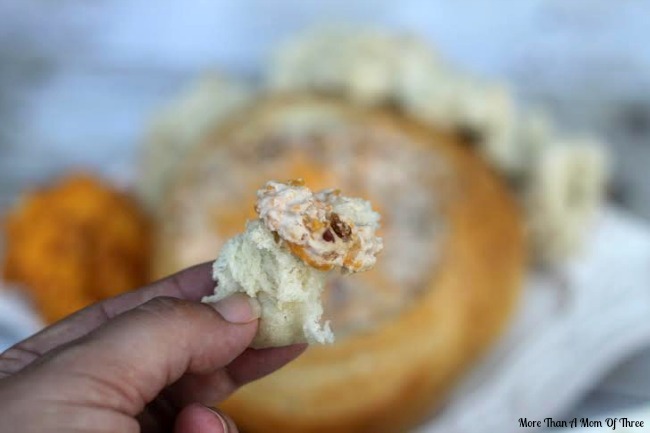 Its warm, cheesey and by far the best all around dish to bring to any event or party. It has become my go to dish to serve or bring to anything! 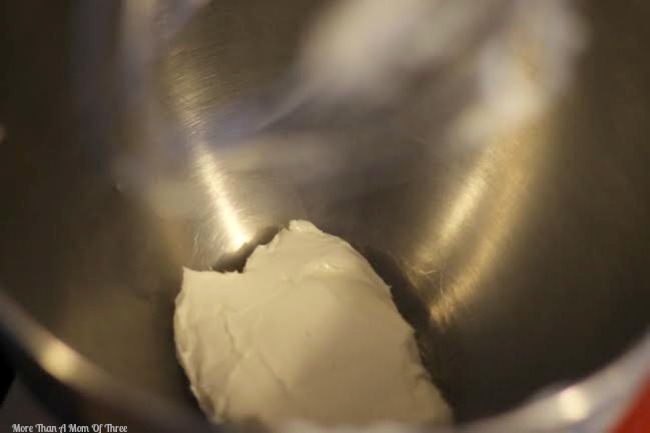 1 ½ cups sour cream. Dice or crumble bacon into small pieces. 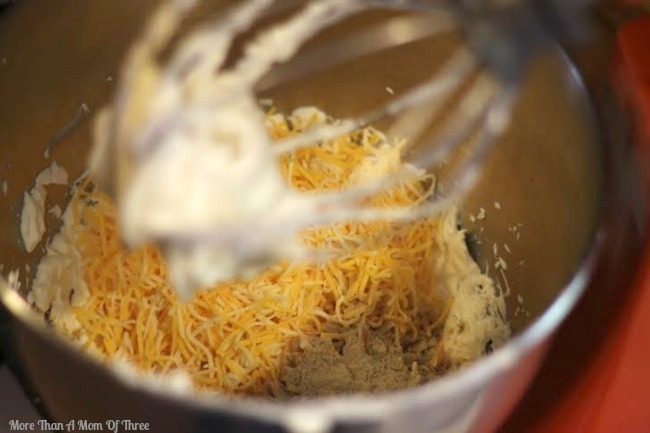 In the bowl of your hand or stand mixer combine softened cream cheese, black pepper, shredded cheddar, sour cream, soup mix and worcesteshire- mix until well combined. Gently stir in bacon crumbles until mixed well. 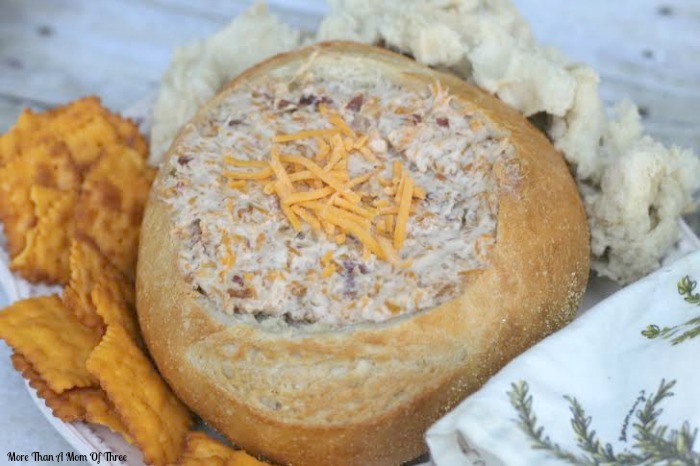 Cut a large circle from the top of a bread bowl- about 5” in diameter, then pull out bite sized pieces of bread from the inside to create an edible bowl. 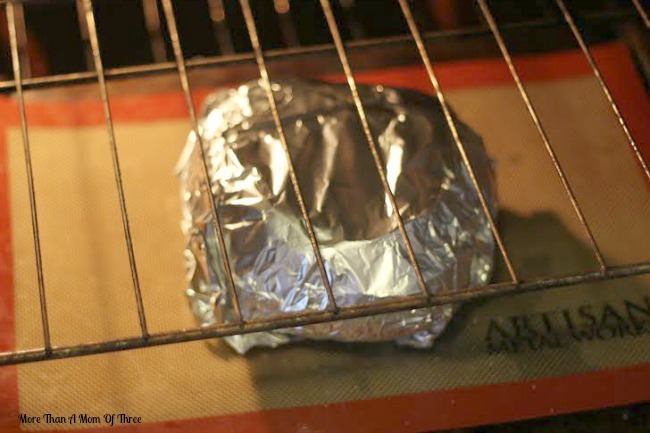 leave a 2” wall all the way around at least to hold dip filling. Make sure you do not cut all the way through. 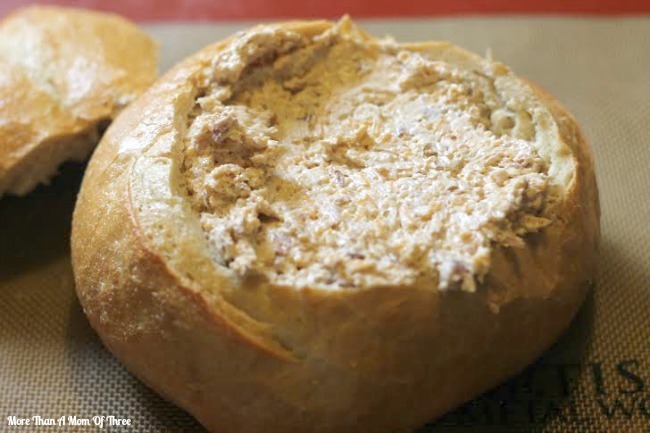 Scoop mixture into bread bowl, wrap well in aluminum foil and bake for 40 minutes. 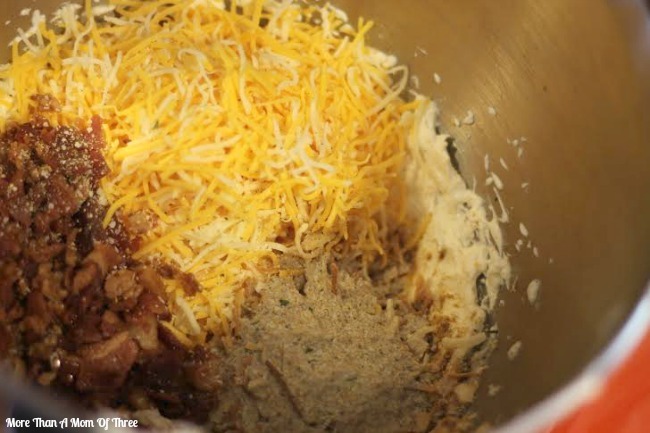 You just want the cheese to melt and everything blend together. 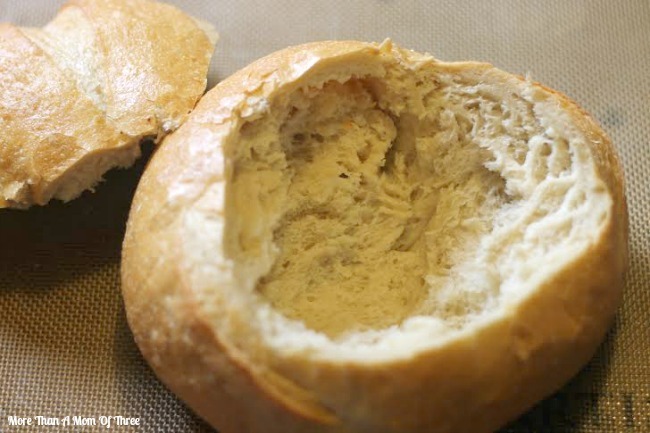 While bowl is baking tear apart top of bread bowl, and inside that you tore out and place in a baggie to keep it fresh. 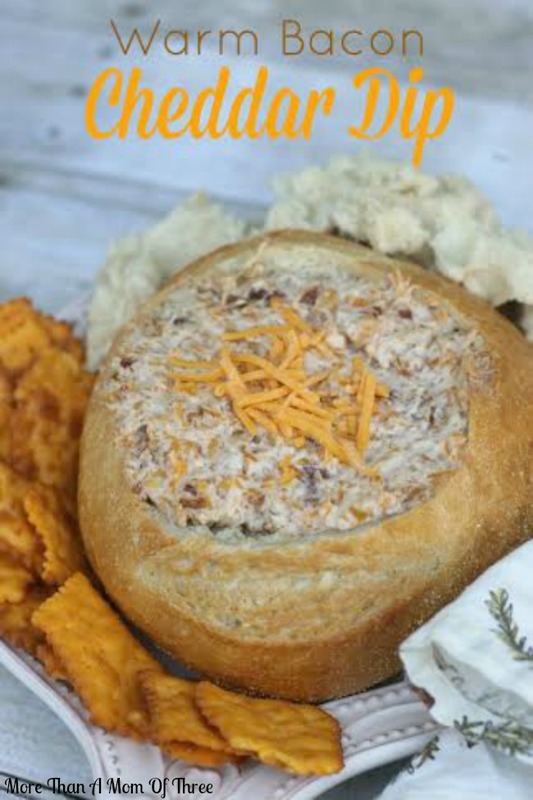 Remove foil, place cheese bread bowl on a platter and surround with bread pieces, crackers, or veggies.